When your meatballs fall apart while cooking, turn them into meatball ragu. As it turns out, this mixture makes a wonderful meat sauce. The ingredient list is long, but the instructions are super simple. The base sauce is one of my favorite homemade recipes. It comes from this Bobby Deen's Baked Spaghetti Recipe and the Meatball recipes comes from The Pioneer Woman. I was excited to try making meatballs, but mine wouldn't stay together during cooking. Some did, but most broke in half when I tried to flip them. I added all the chunks to my sauce. Rather than having spaghetti and meatballs for dinner, we had meatball ragu over spaghetti noodles. It was delicious. 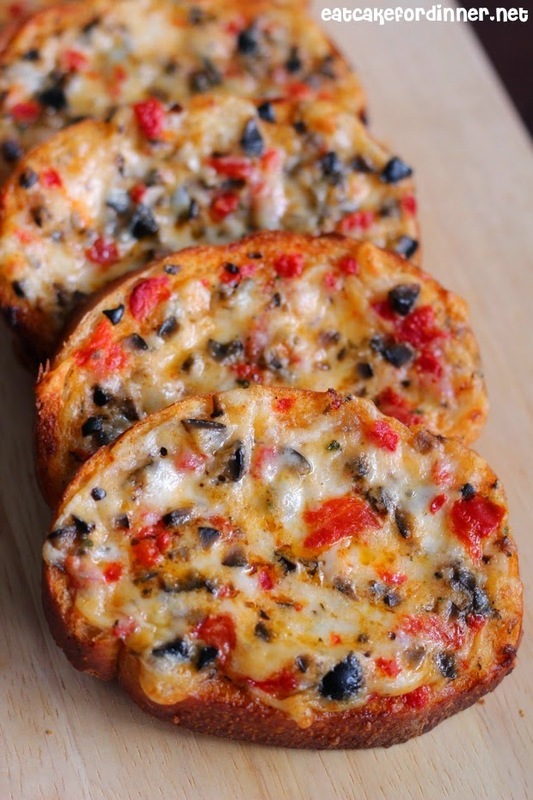 Serve with Olive Cheese Bread. splash of white wine vinegar, opt. Combine all of the meat mixture ingredients in a large bowl. Refrigerate until ready to use. Meanwhile, in a large saucepan over medium heat, combine all of the sauce ingredients. Bring to a boil, then reduce heat and simmer, covered, for one hour. Remove the bay leaf. When sauce is almost finished, heat 2 Tbl. olive oil or vegetable oil in a large pot; cook meat until browned and cooked through, breaking it into chunks as it cooks. Add the sauce to the pot with the meat and use a wooden spoon to scrape up all the flavorful bits on the bottom of the pan. 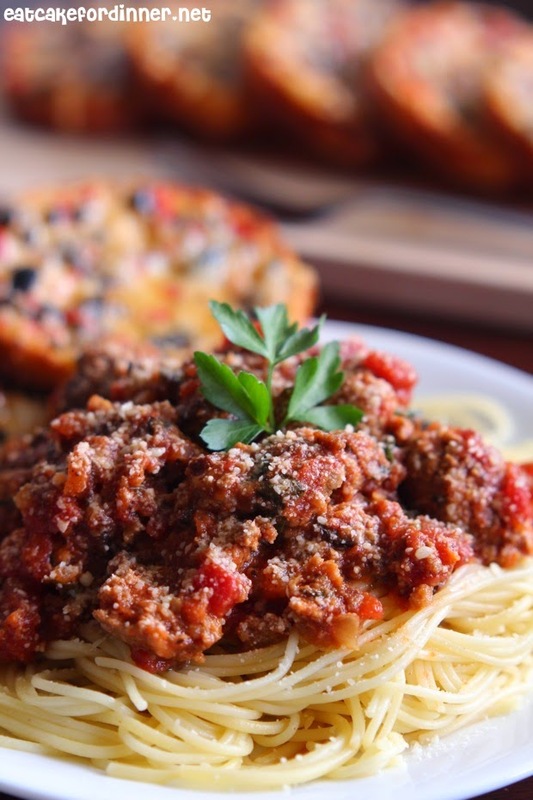 Serve over cooked spaghetti noodles and garnish with Parmesan cheese. *If you would like to attempt meatballs: After you combine all of the meat ingredients, form into small meatballs and place on a cookie sheet; refrigerate for at least one hour. Heat a few Tablespoons oil in a large pot and cook meatballs in batches, until browned and cooked through, adding additional oil as needed. When all the meatballs are cooked, add back to cooking pot and cover with sauce. Makes 38-40 meatballs. When you mess up and it still turns out good...that's how some of the best recipes come about. This sounds good. Pinning it! !